Have you ever wondered how I start my school year off to set up a classroom environment that puts student learning back in the hands of students? If you've followed this blog for any period of time, or heard me speak you'll know that student CHOICE is something I believe strongly in for my students. Today I am pleased to announce that my contribution to the Apple Distinguished Educator One Best Thing collection is now available on iBooks. According to the website each contribution to the One Best Thing collection "highlights a specific use of Apple products, apps, and other content to transform teaching and learning. From effective assessment practices to exciting student projects, this professional learning series – devised by outstanding educators – provides practical tips and a lot of inspiration". 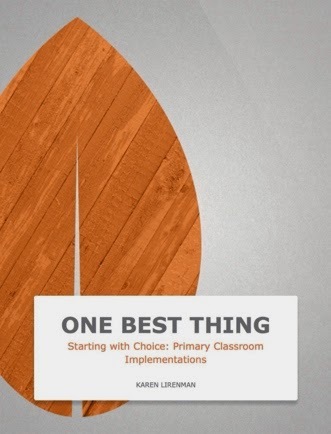 My contribution Starting with Choice: Primary Classroom Implementations is a multi-touch book where I explain the steps of how I set up my classroom environment for choice and teach my students how to make their own choices. 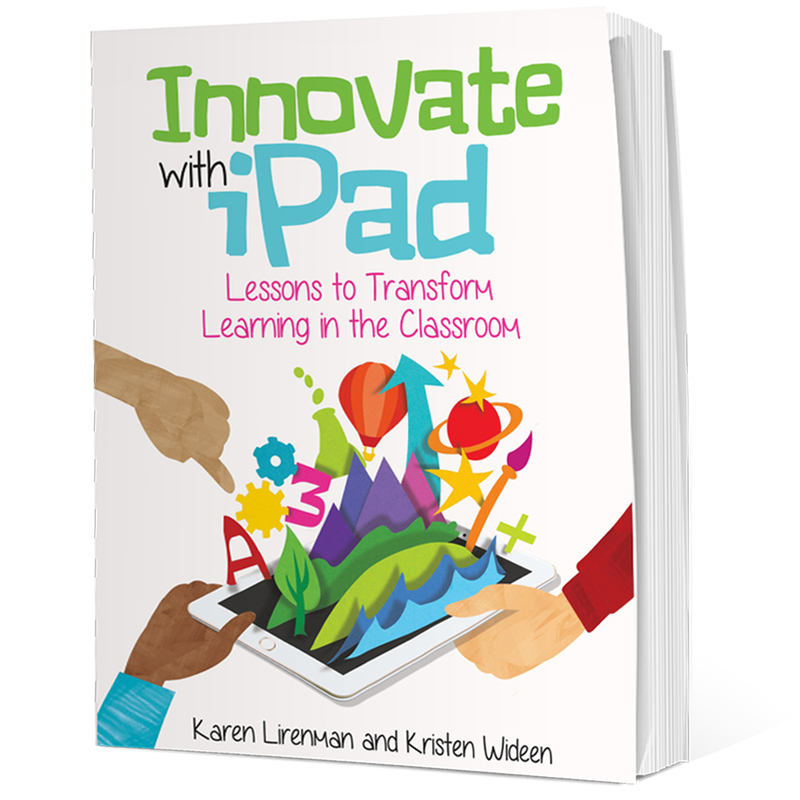 This book is now available on iBooks stores around the world. If you'd like your own copy click the title above (highlighted) and follow the link to this free resource. If you like it please share the link (or this blog post) so other educators can get started with providing choice for their students too. Together we can do this for our students. Karen. You are so impressive. And always sharing. Wow. Wow. Wow. Excited to read this book! Thank you Carrie. As you can image this book was certainly a labour of love. 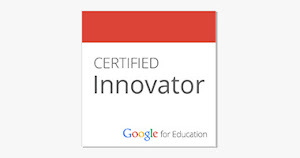 I hope others will find it helpful to their teaching practices too. As for sharing, everything I know I've learned from those who have shared with me. Together we are brighter. I'm downloading it now and looking forward to reading it. Congrats! Karen, this is awesome! Congrats and thanks for sharing. Just downloaded and it looks amazing. So appreciate your hard work and dedication. Your sharing continues to inspire me. Thanks Faige. I hope you find it helpful. As you know I also believe very strongly in sharing out because my reality is that I know what I know because people have shared with me. Enjoy! I loved your book Karen and it made me ask a million questions and think about my own practice. It was perfect timing too as I can really think in July when there are no other distractions besides quiet kayak meanderings and grilling chicken. I plan to blog about it today. Thank you so much for all that you do. You are a model for me around taking yourself seriously and making a plan to reach your goals. Thank you for your kind words. I smile knowing it's making you ask questions about your practice because it is through these questions that we grow as educators. I also really appreciated you sharing my book on your blog. It was a labour of love that I hope will help teachers around the world.